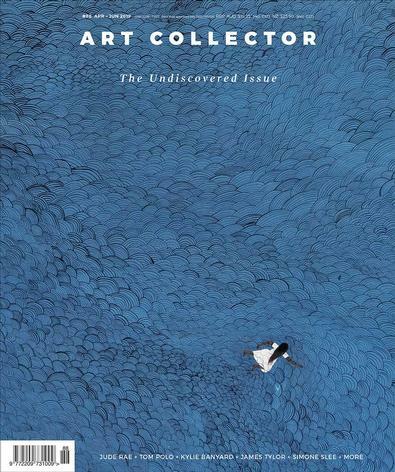 Be one of the first 20 to subscribe to Art Collector magazine and receive a free copy of the book MOP Projects: 2003–2016, valued at $70! Offer expires 05.05.2018 or when gift is expired. Available to AUS residents only. Each issue profiles our top artists, collectors and dealers and is filled with informative articles on collecting Australian contemporary and Aboriginal art. You'll also find authoritative reports on news and issues in the art world. It's a great gift idea for anyone who's interested in art. In this highly anticipated annual issue, we look back at the standout artists and shows of 2018 and discuss the artists, curators, directors and collectors set to shape the region's art world in 2019. One of my favourite magazines out there.